and to coincide and the recording of our first album: The GrimmRobe Demos. We will be playing material from this album exclusively. It will be a return to our primal origins, and approach respecting a concept of shoshin, the beginner’s mind, the yet undyed pure wool, the clarity in initiation upon the untraveled…….. And so, with this mindset that we will be approaching these live concerts. Pure, raw, uninhibited invocations featuring 0)))s core members: Stephen O’Malley and Greg Anderson ONLY. No guests, no vocals, no keyboards. We hope you will join us…. 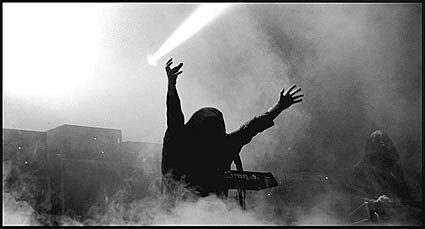 sunn 0))) will bring experimental artist Tony Conrad, as well as the mighty Thou to Knitting Factory in NYC on Oct 15th. Tickets are on sale. All dates below. For more on NYC & Philly opener Thou, check out 7/15’s Week in Metal. Both their latest record, Peasant, and their previous one, Tyrant, are available for FREE download at their site. If ya dig, support the band and buy a copy.